In one of my last posts (Add Custom Actions to the Masthead (Shortcut Buttonbar) in Notes 9) i have shown to you how to add your own Shortcuts to the Masthead with an eclipse extension. To do this you need basic java skills and an eclipse installation properly configured for Notes plugin development. I have got many replies that many Notes developers/admins do not have the prerequisites to follow my tutorial and so i have promised to provide a new tutorial without the need for java or eclipse skills. The first step is to install the ShortcutButtonbarEnabler widget in your Notes client. I will show you how to deploy this widget in an enterprise environment with the widget catalog in a future blog post. 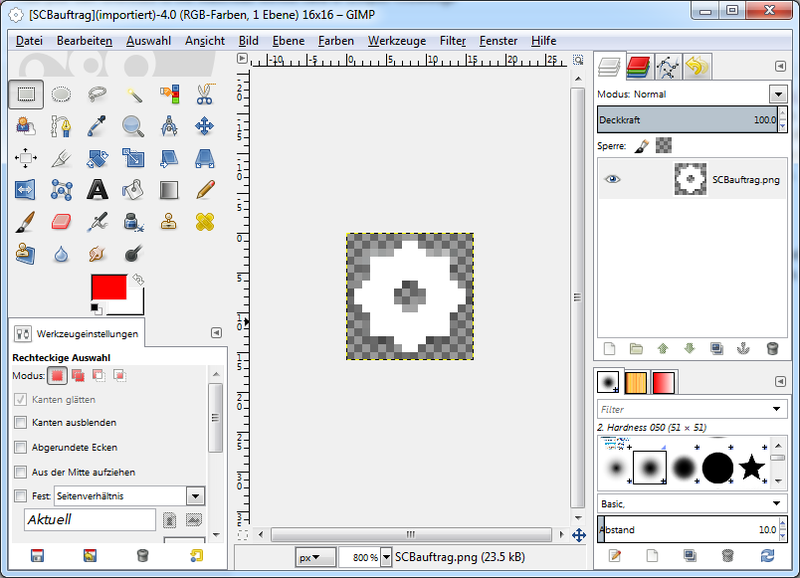 Then create an icon for your shortcut in the size 16x16 pixel and with a transparent background. The colours should be similar to the other Masthead icons so that you get a consistent design. Save the icon as a PNG. Add your icon to the images resources of a notes database. I recommend to add the icon to the database to which your shortcut will link, but this is not necessary. Caveat: As all your icons will be extracted to the temp directory on startup of your notes client all icons must have a unique file name! X: A Continuous number starting with 1. Notes will stop evaluating the notes.ini if there is a whole in the numbering. Server: The server of the database with the image resource. 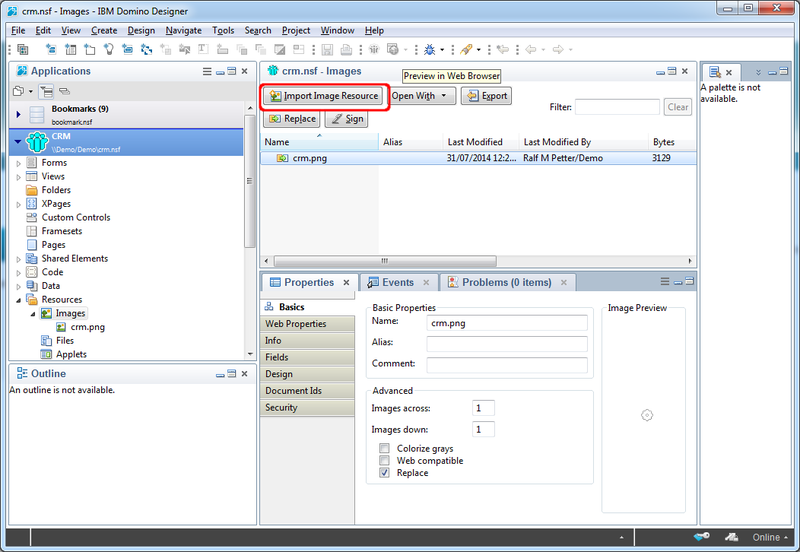 Database: The database with the image resource. I think it should be very easy to write a small Notes App to let users create this notes.ini entries. Or you use a Desktop policy to create this entries for your users. If you have any problems to get your Shortcuts working leave a comment. I will try my best to help you to get this running. If you liked this Tutorial you can support my work with a small donation. Thank you in advance.